The Partagas Presidentes is a beautiful and strong figurado, of Taco format, 47 ring gauge, 6.2” (158mm) long and comes in a box of 25 cigars. This figurado from Partagas is not very well known. This cigar is one of the rare competitors of the Cuabas. From its odd dimensions, close to a Julieta (same gauge but slightly shorter), it seems to be of strong flavor, and it is. It evolves on an earthy and woody register. It is nevertheless a bit smoother than a Julieta. The final is short. Strong & peppery, but not at all aggressive with a lovely even burn. •	Tastes like lighter 898. •	A pleasant cigar with balanced flavors of cocoa and coffee. Elegant. The wrapper is dark brown and silky smooth, with plenty of oil. The cigar’s aromas are inviting with the sweet scent of dried hay with some floral undertones. Good solid burn with a slightly firm draw. 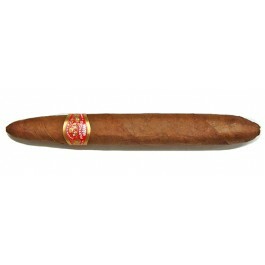 In the first third the cigar starts directly with a medium-to light body, the flavors are very pleasing. There are so sweet aromas of coffee and chocolate, and also some mineral taste. The smoke has a nice smell of wheat. The cigar really reveals itself in the second third. The full strength is now really there. A wide range of flavors accompanied by spice hit the palate. There are hints of milk chocolate and also some roasted coffee beans. In the final third, the cigar reveals its richness as more flavors develop. The sweet flavors fade away and now come some dryness from old tobacco leaves. Alongside, there are also some notes of bitter chocolate and leather. 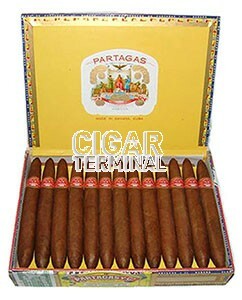 In summary, the Partagas Presidente lives up to its name, and it is a bargain that you shouldn’t miss!